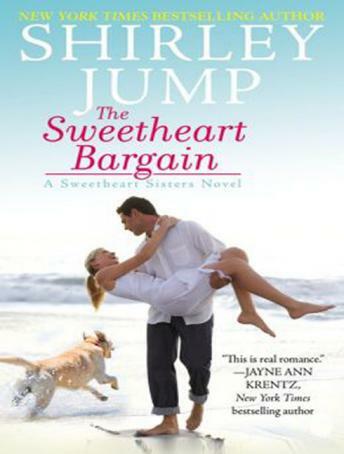 The Sweetheart Sisters, a trio of sassy, well-meaning grannies (who aren't against a sip of bourbon with breakfast), are ready to dispense advice and help create happy endings with a little of what they do best-meddling. Animal therapist Olivia Linscott is the Sweetheart Sisters' first target. Running from a bad marriage and a lousy job, Olivia is determined to save the dog shelter she inherited from the mother she never knew and, above all, to protect her broken heart. The Sisters want to tie the spirited young do-gooder to wounded helicopter pilot Luke Winslow, but the intended pair keeps slipping the leash. Luke's dreams were shattered by a career-ending eye injury. Adrift and bitter, the last thing he wants is romantic involvement. But when a golden retriever in worse shape than he is scratches on the door, the dog brings in a whole lot more than puppy love . . .